The Arizona-Sonora Desert Museum is a fusion zoo, natural history museum, botanical garden, art gallery, and aquarium located in Tucson, Arizona. Home to more than 230 animal species and 1,200 kinds of plants the Arizona-Sonora Desert Museum is here to inspire people to live in harmony with the natural world by fostering love, appreciation, & understanding of the Sonoran Desert. 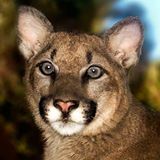 Wildlife World Zoo & Aquarium has Arizona's largest collection of exotic animals with over 6000 individual animals representing more than 600 exotic and endangered animals in an open and natural habitat.